Your wedding is one of the most important events of your lifetime, and there's no better place to celebrate than Columbia Winery. We offer both indoor and outdoor options as well as our beautiful Barrel Room. All options can seat up to 225 guests. Your rental includes a bride and groom suite as well as tables, chairs and linens. Our catering partners are the best the industry has to offer when it comes to food and service. When every detail matter, choose Columbia Winery. Ultra Luxe takes your event design to the next level by breathing fresh life into a classic black, white and gold color palette and turning it into a glamorous, luxury experience. Complemented by lush greenery, polished acrylic and stylish mirrored accents, we infuse a playful and romantic aesthetic that leaves you wanting more. Curated splashes of bright color are also infused into the design for an added “something special” that perfectly completes the overall look and feel of the wedding decor. This year, we are very excited to showcase some of the hottest wedding design trends from around the country and translate them to suit this stunning winery wedding venue. The mix of classic winery romance and luxurious high-fashion style create a one-of-a-kind experience for you and your guests to remember forever. Ultra luxe stands apart from the crowd with a fresh and modern take on winery décor that we cannot wait to share with you! Elite Events is a luxury event planning team that specializes in designing thoughtfully curated high-end weddings & events. Whatever the occasion is, we plan it with an unrelenting level of style and care. With over 8 years of experience planning events in the Pacific Northwest, New England, California, and internationally, we know what it takes to make your event effortlessly stand apart from the crowd. Not only are we a dynamic planning team, but we are also a mother-daughter duo. Planning events has always been a huge part of our personal lives, and we feel so lucky to be able to work together and bring our extraordinary passion and event knowledge to our clients. We pride ourselves in managing each of our events with the same love and attention as if it were our own, and we do not accept anything less than perfection. Let us bring your event dreams to life and keep your guests raving about their wonderful experience for years to come! From modest beginnings in 1974 as a local furniture company in Philadelphia, AFR Furniture Rental is now the second largest furniture rental company in the U.S. with 26 warehouses in 22 cities. Delivering the most exceptional event furnishings from coast to coast, AFR provides perfect solutions for virtually every type of event. From weddings, concerts, and outdoor festivals to meetings, trade shows, and beyond -- our goal is to create a look that will make a lasting impression on your guests and put a smile on your face. BAHTOH is a full service florist and hair salon located in the International District of Seattle. We're always striving to stay on trend, but also push the envelope in our designs. We are a collaborative team and aim to make our clients' vision come to life. I provide premium wireless microphones and live audio support for multiple locations within a single venue, music planning & programming for pre-ceremony, ceremony & reception, wireless uplighting, spotlighting & effect lighting, experienced & personable MC services and high energy dance parties with your music expertly mixed live on turntables. Confete simplifies life’s most important celebrations. We handpick the hottest event decor from our favorite vendors, create party boxes for every occasion and ship them to your door! Choose from our themed boxes, Build a Party Box, or our team will work directly with you to create a custom box just for your party. It doesn’t get any easier than that. *Also providing custom DIY balloon garland kits and full installs locally in the Seattle area. Winner of “Best Lighting and AV” from Seattle Bride Magazine, Crimson Haze Event Lighting is Seattle’s highest-rated event lighting provider on Yelp, WeddingWire, and The Knot. Offering personalized luxury lighting and special effects, these friendly experts customize the ambiance for each client’s unique vision — from the subtle to the spectacular. Love your wedding. Custom, seasonal, and inspired catering and bar service mean your celebration will rival the best restaurants in Seattle. Get the flavors you will love and excellent service that will make you smile at our venues or your chosen location. Your happiness is our success. Start planning today. Founded and lead by Megan Yamamoto, Hologram Beauty is all about delivering multi-dimensional beauty to our brides, while creating a comfortable and collaborative atmosphere on the bride’s most special day. We are men’s personal stylist helping men look their best for their wedding, professional, social and off duty attire. All our fabrics are Italian and clothing is custom fit at 1/3 to 1/2 of retail. We provide the best personalized service giving men the fit and feel they want in their clothing. We specialize in helping the groom, the wedding party and father of the bride & groom look and feel their best for this very special occasion. John Howie Catering offers a diverse range of chef-designed specialty menus featuring the same local, sustainable hand-crafted cuisine enjoyed by our guests at Seastar Restaurant, John Howie Steak. Our chefs customize each menu to the unique needs and style of each event – ranging from intimate affairs to elegant, large-scale celebrations – and specialize in culturally influenced global cuisine with numerous options for every dietary preference and restriction. Kirsch Creative provides personalized photography services to creative people in the Pacific Northwest. We create modern imagery and an experience that is based on your definition of fun. Lady Grey is a boutique, bespoke custom cake company, where modern and traditional meet. We want your cake to elevate your special day, while filling you and your guests with the kind of joy only cake can provide. Mandy Moon Jewelry offers custom jewelry on your special day for you and/or your bridal party. Have a heirloom brooch or vintage pearl or rhinestone necklace that has special meaning? It’s a great way to incorporate a magical touch to represent your loved ones or a “something old”. Together we can create a one of a kind piece that you will treasure forever! McMenamins has transformed historic Anderson School to include 72 guestrooms, restaurants, swimming pool, brewery, private event spaces complete with onsite catering, handcrafted beverages and more. Expertly crafted, and local-centric Italian ice cream, desserts and espresso, with a frequently changing menu of exquisite flavors, homemade at our Magnolia Shop. From our Italian made micro-truck, to tricycles, and portable scoop stations, we offer a variety catering options for both small and large celebrations. We don’t just design invitations, we print, produce and assemble them in-house! We are a full-service print shop. We use digital, offset, thermography (raised ink), foil, and letterpress printing. We can even laser engrave on wood! We handcraft many of the finer details on the invitations like tying bows and adding liners and crystals. We don’t overlook any detail. Seattle Wedding Officiants creates ceremonies that honor all faiths, traditions, cultures and genders. I have experience and passion and will design a personalized ceremony that you will love, and your guests will remember. I can’t wait to create your unique story, your way. Your happiness is truly my success. Family owned and operated on the Eastside for over 40 years, Twelve Baskets Catering provides creative menus from the Northwest and around the world paired with friendly, professional staff and beautiful presentation, our passion is to make every wedding and event one you can be proud of.Seattle Wedding Officiants creates ceremonies that honor all faiths, traditions, cultures and genders. I have experience and passion and will design a personalized ceremony that you will love, and your guests will remember. I can’t wait to create your unique story, your way. Your happiness is truly my success. MAKE AN ENTRANCE. ROCK THE AISLE. The perfect soundtrack to your ceremony. Windsong Trio’s stellar reputation is built by celebrating the uniqueness of each couple they work with. From Beethoven to Bruno Mars and everything in between, their stellar musicians transform your ceremony into a jaw-dropping event, infusing it with an unrivaled experience for you, your family and your guests One that you won’t achieve with recorded music. 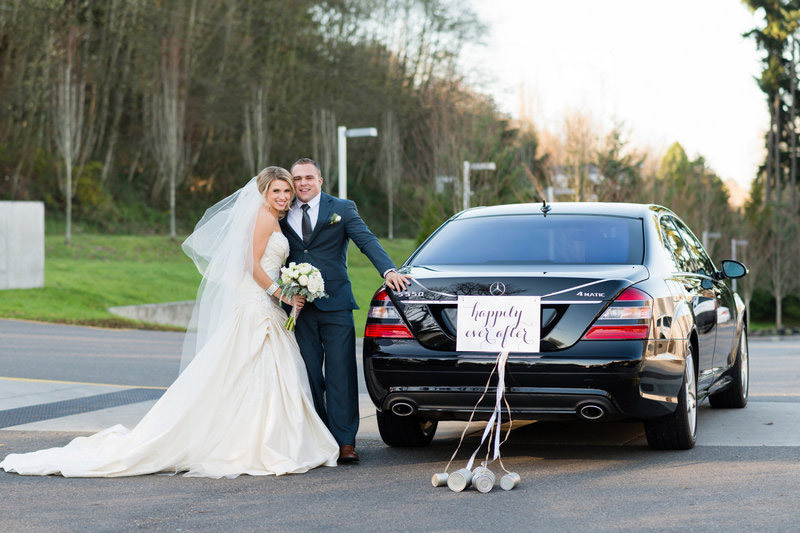 Winners of Seattle Bride’s Best Ceremony Music for 13 years straight defines the level of excellence and consistency you can fully trust for your event. Please contact us today to inquire about our musicians, our tailor-made services, and our attention to detail that ensures your event will be unique, flawless - and magical. Contemporary portrait and boudoir photographer located in Issaquah, Washington. I specialize in beautiful bridal boudoir groom gifts, couples boudoir, photoshoot themed bachelorette prefunction events and glamour beauty photography.